my jaw is literally dropping. how spectacular was 90's fashion??? ^too spectacular! Its dresses like that that really make u appreciate how much art he gives. ^Only a true artist could do both. 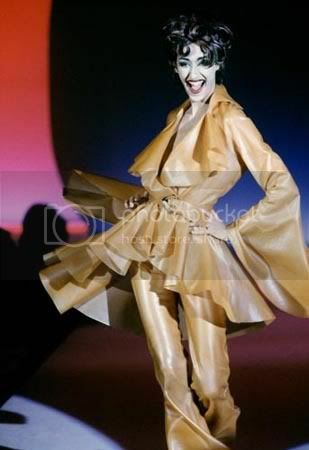 here are a couple more vintage mugler pieces. ^a/w 1988 blazer. 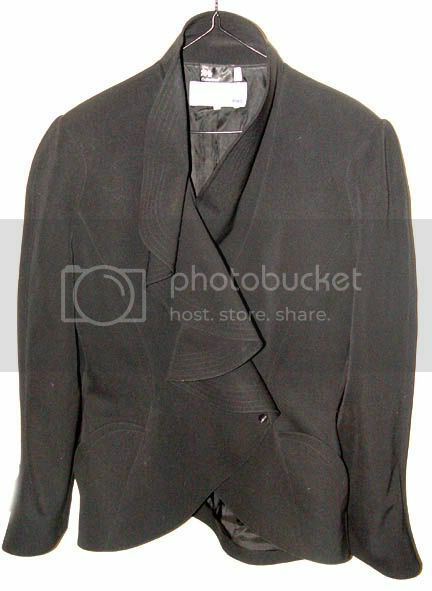 black wool with stand-up collar and ruffled lapel (on a person it becomes very sculptural). asymmetric along the bottom of the back. ^blazer, circa early 90s. 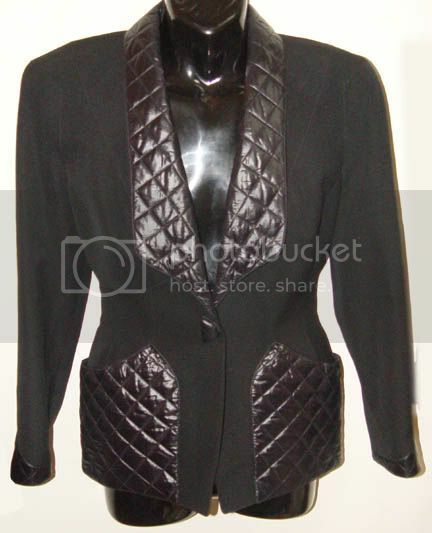 black wool with quilted nylon trim on lapels, pockets, cuffs, and ornamental button. thick shoulderpads and wasp waist. I loved Naomi Watts' dress at the CFDA Villians and Superheroes event. ^^I'm surprised about this news of him doing clothes for Beyonce, but its wonderful to see him back more publicly doing something. I love his work and I because his vision is so unique, I don't like the idea of someone else designing under his name. It would be interesting to see what he would do today especially since the models body types have definitely changed since his last runway show and he seemed like such a genious with changing models/women's proportions and shapes. its such a shame that he doesnt do fashion anymore!!!!!!!!! My Idol Diana Ross in picture 11 wore the dress coving up the body suit in concert. It was a blue sequien dress with long train. She really wears his clothes well too. She also wore his vinyl pants and pink cutout jacket in a music video of hers. She's been wearing his clothes since the company began. they are still great friends to this day. 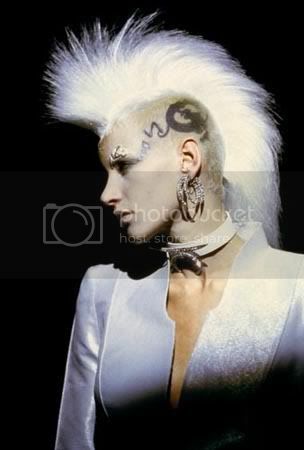 He lastly did a black evening gown for her, when she went to the academy awards, during the mid 90's as well. She still continues to wear his suits to this day. I love to see her in his stuff, because she gives them such life in person. i always2222 LOVE his works, he's one of a kind. i hope he'd come back to fashion and design some more.